The Jury Award for Best International Documentary. Purchase prize by CANVAS. 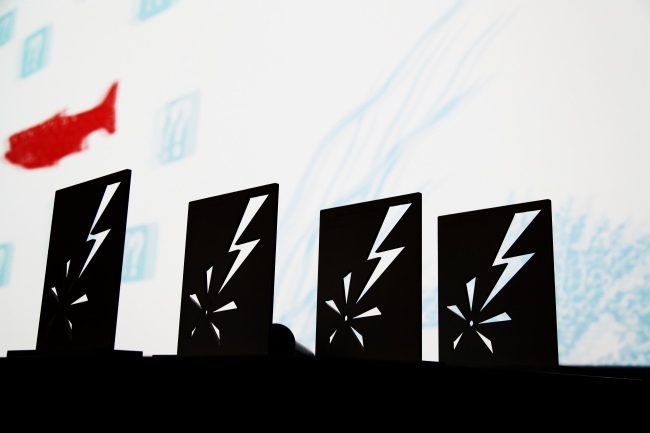 Nominees: all films from the international selection. The Con-Science Award. 1.500€ cash prize by DOCVILLE. Nominees: all films from the ConScience selection. 1. Liz McIntyre (UK) works in the television and film landscape. In her extensive career in documentary film, she has held the position of CEO and director of Shefeld Doc / Fest and is a member of the Board of Women in Film & Television, BAFTA TV and BAFTA Learning & New Talent Committees. Currently she is the head of the Masters School for Documentary Campus in Berlin, where she leads the international training and mentoring program for emerging filmmakers. 2. Tim De Keersmaecker (BE) graduated at the film academy RITCS in 2007. His short documentary Die vögelein schweigen im Walde has been awarded with several national prizes, including the VAF Wildcard and a selection for IDFA Amsterdam & Visions du Réel Nyon. Since then he has produced his frst feature film No Man is an Island and the TV documentary Te Paved Road. Since 2013, he has been combining film making with aPhD on the representation of reality in documentary film. 4. Hendrik Verthé (BE) is the founder of A TEAM PRODUCTIONS, a collaboration with Kobe Van Steenberghe. He produced countless short films, documentaries and feature flms with a focus on the general public. Recent productions are the documentaries Te Circle, What about Eric? and the feature flms Patser, Torpedo and Yummy. Ambitious projects with entertaining and moving stories are Hendrik’s passion. 5. Kathy Brew (US) is an award-winning independent flmmaker with experience in documentary, experimental flm and television productions. Her most recent film, in collaboration with Roberto Guerra, Design is one: Lella & Massimo Vignelli was selected at various festivals, purchased by Netﬂix, and continues to be screened internationally for its “evergreen” quality. Kathy is currently a guest curator for Doc Fortnight at MoMA. 6. Peter Lataster (NL) is a director, cinematographer and producer. Together with his partner Petra Lataster-Czisch, he made several award-winning documentaries, such as You are my friend, Miss Kiet’s Children, Awake in a bad dream… but also acclaimed short flms and dance flms. In 2001 they started a production company, Lataster & films. Its latest movie You Are My Friend is screened at Docville. 7. Andreas Rocksén (SE) is a film director and producer. In 2004, he co-founded Laika Film, where he is now managing director. He produced numerous documentaries, including Cold Case Hammarskjöld, DOCVILLE’s opening film. Te growing production house now also includes fction projects such as Kaouther Ben Hania’s La Belle et La Meute, which premiered in the selection of un Certain Regard in Cannes 2017. 8. Anna Bertholet (FR) graduated from the Ecole Documentaire de Lussas in France. In 2015 she started her career as Head of Festivals and Teatrical Sales at Taskovski Films, with a strong focus on film Marketing & Branding and alternative distribution. After this, she took on a new challenge and founded Sweet Spot Docs in 2019. A young company that guides documentary producers to distribute their new productions. 9. Frank Theys (BE) is a film and theater maker, writer and visual artist. He studied philosophy and visual arts in Brussels. Since 1996 he has been making video installations, interactive multimedia and film. He has won several international prizes and his films belong to the collections of Te Museum of Modern Art (MOMA) in New York, the Municipal Museum of Contemporary Art (SMAK) in Ghent, the Center National de la Cinématographie in Paris, etc. His work is characterized by a scientifc approach to existential reflections.